Home of the Green Mountains, Vermont is home to many massive ski resorts, such as Jay Peak, Killington, Okemo, Mt. Snow, Stowe, Stratton, and Sugarbush. 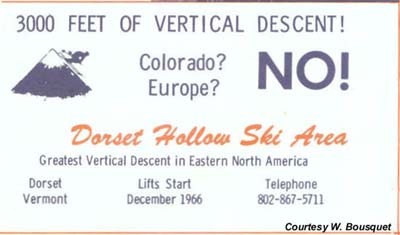 While most of the proposed large scale ski areas opened, at least two others were never constructed - Dorset Hollow and Mt. Equinox.